— The WiFi + model will have support for GSM, CDMA, and LTE – for 4G data capability. Needless to say the the photo could be a fake and the information could be inaccurate – but the possibility of a prototype being out ‘in the wild’ seems just about plausible as we’ve seen numerous reports of late on how iPad 3 production has already begun. The quad-core processor is hardly a stretch to believe, while the LTE support is a little less of an oddsmaker’s favorite I’d say. And I still hope that LTE is not coming to this year’s model – unless Apple have worked some sort of magic that doesn’t allow it to be a massive battery killer. Hopefully we are getting very close to an Apple iPad 3 launch event that will put an end to all the waiting and speculating. Now that 2012 is just round the corner, one thing we can start to look forward to is the iPad 3, or whatever name Apple chooses to give to the next generation iPad. 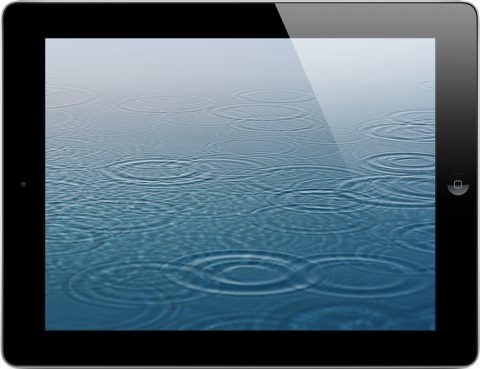 Unless there’s a drastic change to Apple’s release cycle for the iPad, we will see the iPad 3 released in the first 3-4 months of the new year – most likely in February or March I’d guess. — An improved, retina display. Happily, I think this is just about a lock to be one of the key features of the next iPad. The iPad’s display is already superb – but a bump up to retina quality will be very welcome. — A better, faster processor. Again, I think this is pretty much a given fortunately. — An upgrade to 1GB of RAM. I was hoping to see this on the iPad 2, and I think it’s definitely time for this in the next gen. This would be a big boost for iPad gamers and game developers, as well as for all of us who like running a number of powerful apps of all kinds on our iPads.